This report has been written to give a prospective on electronic ignitions with respect to installation and issues. 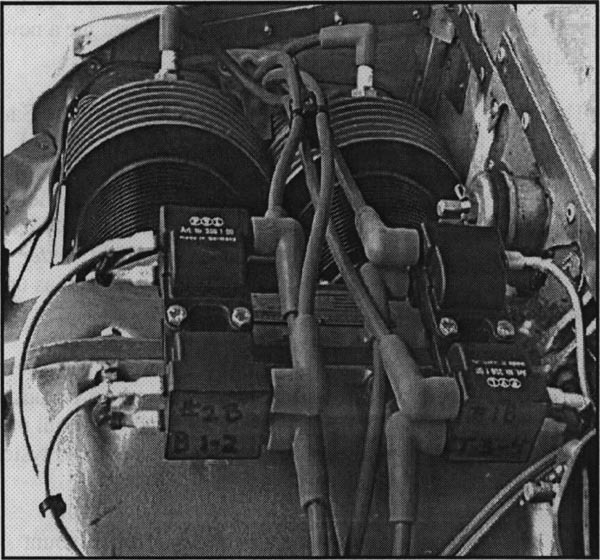 This information is specific to "MY AIRPLANE", an 0200 Continental engine with SkyTec Flyweight Starter, Dual Light-speed Ignitions and 17AH and 6.2AH Panasonic Batteries. The aircraft test bed: Quickie Q200 with 0200A Continental Engine. I built this aircraft over several years and 4,000 hours labor. It's won the Charles A. Lindbergh Award at Oshkosh, Reserve Grand Champion at EAA Golden West, Grand Champion at Merced CA and 1st place awards at major California Air Shows. The airplane has been flown 440 hours since new in August 2000. Originally equipped, my airplane had a zero time 0200A Continental Engine with stock pistons, two new impulse coupled Slick Magnetos and a Concord RG25XC Batteiy. At about 275 hours, I installed 9.5:1 LyCon pistons with Millennium cylinders and a New SkyTec Flyweight starter. I had a problem with the SkyTec starter after about 100 hours use because of an initial design problem that allowed oil to get in the unit from the engine. Rich Chappee at SkyTec was very helpful (and aware of the problem). He sent me a new starter at no charge for the unit or shipping. The starter ran fine for the next 20 hour round trip from San Francisco to St. Louis. After my return in October 2003,1 decided to install dual electronic ignitions. I read all the hype and convinced myself that I would get MUCH better fuel efficiency, less maintenance because of no mags, a MUCH smoother running engine at idle as well as in flight, better performance down low (RACERS CHOICER as well as up high. And so on and so forth.
? Removing and reinstalling the prop and extension.
? Making a . 125 aluminum mounting bracket to mount P.C. sensor board to crankcase.
? Drilling and taping the crankcase to accept the mounting bracket and installing bracket.
? Mounting the P.C. board to the engine bracket.
? Making the flywheel trigger bracket and installing the trigger magnets and counter balance weight.
? Adjusting the P.C. board to trigger bracket for 20-60 thousands min/max clearance.
? Making the timing indicator and installing on crankcase.
? Measuring and installing timing marks on the flywheel trigger bracket.
? Locating the ignition modules in veiy tight quarters.
? Making 4 control module input and output wiring connections and 8 RG 400 connections.
? Wiring the modules to talk to each other.
? Wiring the modules to the key switch p-leads and ground.
? Drilling the instrument panel and installing (1) 10AH, (2) 5 AH and (1) single pole double throw switch and associated wiring inline from batteries to ignition modules.
? Making charging circuit for second batteiy per plans.
? Installing four coils and high-energy tension leads on top of engine.
? Routing dual sensor wiring and RG400 wiring so as not to be in close proximity to each other.
? Designing and installing a two-battery system (Panasonic 17AH and 6.2AH) totally separable.
? Time high compression engine per plans at 16 (manifold pressure line disconnected) and 35 degrees (manifold pressure connected) +/- 2 degrees. My initial reaction on start up was good. The engine ran at a higher rpm and smoother, which allowed me to drop the rpm from 750 to 500 RPM (This will allow for shorter roll outs on my speed sensitive Q200). I flew the airplane one hour. The next day I was doing a dynamic prop balance and started the engine several times. The engine didn't appear to crank slowly but the Skytec starter began to fail. The engine would come up on compression, the starter would "let go" and the prop would reverse. Sometimes the starter would power through the compression stroke and the engine would start. I know this is not good. Finally it failed to crank, making a God-awful noise in the starter. I called Rich at SkyTec and told him about the problem and my new electronic ignition installation He suggested I had a kick back and asked that I send the starter in for repair. I removed the engine, pulled the starter and returned it to SkyTec. Rich said the problem was a kickback while the final starter drive was engaged. 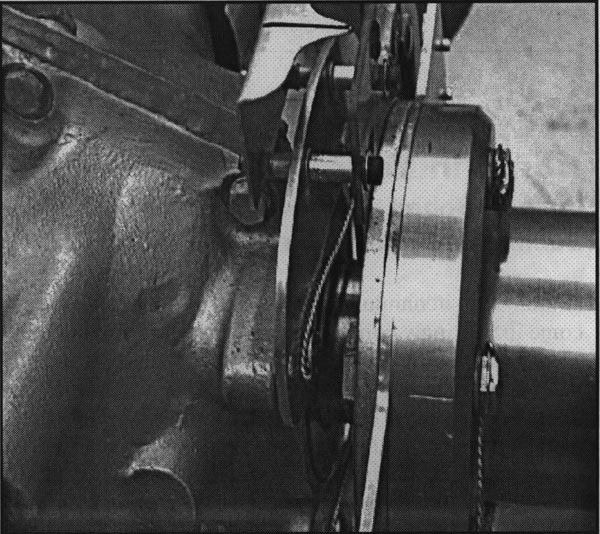 We believe the starter failed due to low battery voltage allowing the starter solenoid to disengage on compression and sense a firing pulse of the Lightspeed System as it moved back and forth past the direct crank sensor magnets with the starter engaged. Klaus was emphatic that his units would shut down at around 5 volts and could not create a spark or miscue due to low voltage. Rich repaired the starter at NO CHARGE. I reinstalled the starter and engine. This is really getting old by now! 2). The SkyTec Flyweight Starter for an 0200 Continental Engine, a permanent magnet starter, requires a greater in rush voltage for starting than the B&C starter which is a field wound unit. SkyTec says 180 amps is the "maximum millisecond amp draw" on start up, but on my engine it was much higher. The bottom line difference between the two is; SkyTec permanent magnet starters are lighter but require a larger battery than would be required with a B&C starter in comparable applications. A larger battery is required to prevent major "millisecond amp draws" from affecting voltage when used in conjunction with electronic ignitions. 3). The 17AH Panasonic battery does not provide enough cranking amps when associated with electronic ignitions and high compression engines. The voltage will drop too low to run an electronic ignition successfully. When cranking the SkyTec starter, we saw the battery voltage on the Panasonic drop to 4.6 volts consistently with a new fully charged Panasonic after a few cranks. 4). The Lightspeed Ignition units will fire "other than on demand" in two different ways. A). By bringing the prop to top dead center and moving the trigger magnets back and forth across the ignition sensor pickups. This is normally not an issue since the Lightspeed unit reads the first signal and acts on the second signal (if the sensor sees the second magnet within 1/2 second it continues, if not, it shuts down). Lightspeed uses the "Wasted Spark" concept. EXCEPT when a starter just happens to be bumped in that position with starter drive engaged at top dead center. With a low voltage battery (6-8V) this will cause a double signal (senses #1 signal as magnet passes sensor and starts timing delay, creates firing spark as #2 magnet passes sensor and creates 3rd opposing firing spark as prop slightly reverses off compression (low battery voltage) creating an electrical kickback and a destroying a SkyTec or B&C starter. B). 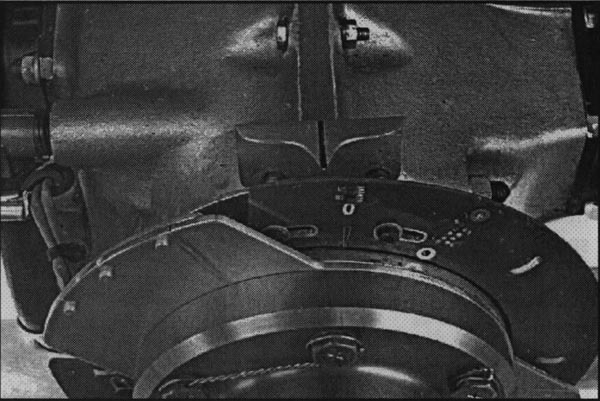 Moving the key switch quickly from Off, Right, Left, Both will allow a capacitance discharge from Plasma III ignitions through the key switch and back into the ignition system. This will allow the plugs to fire before top dead center (any position of the trigger). Klaus was advised of this situation but did not realize it was occurring on Plasma III units. He and his engineer later confirmed this situation in their lab. Note: He informed me that the problem existed on previous models but assured me it was fixed on them. Its really not an issue if you are aware if it. Just like mags, the switches have to be off to prevent a "spark". I'm kind of disillusioned with all the problems I had but I know now it could have been simpler. It would have been much easier if at some point, some time, anywhere in the process, one of these manufacturers had given a heads up of potential problems. I would like to believe they simply didnt know or couldn't do it because of legal reasons. I am an optimist and will not give up. Hopefully these problems will be address and adequate solutions provided. I'm sure every one would like a good out come. I've provided what I think is a good description of the situation and what has taken place to date. Update: I've now installed the repaired SkyTec Starter along with a New RG25XC Concorde Battery and made the following decisions, discoveries and observations. The combination of ignition, battery and starter I've described above is unique to my plane. Installing different combinations might never lead to the problems I've encountered. My take on this is, if I can produce the scenario above, so can some of you. I am writing this article not to penalize anyone but to simply point out the facts as I saw them. I now start the engine on the 25AH Concorde Battery and power the #2 ignition with the small 6.2 Panasonic battery. Since the small battery is isolated from the other circuitry, voltage remains constant during start up. The Concorde cranks the SkyTec extremely well. Once the engine is running I turn on the remaining #1 ignition and charging circuit. This combination seems to work well. As for the key switch, it still allows unwanted sparking when moved quickly. NOT AN ISSUE FOR ME. Since the p-leads to ignition are broken in the "Both" part of the switch I don't think I can get an electrical kickback. Never the less, the plugs will fire if the switch is moved quickly. My timing is set at 16 degrees +/- 2 degrees with the manifold line unhooked and 35 degrees +/- degrees with it hooked up. Klaus's ignitions have a starting circuit that sets the timing at top dead center for starting. 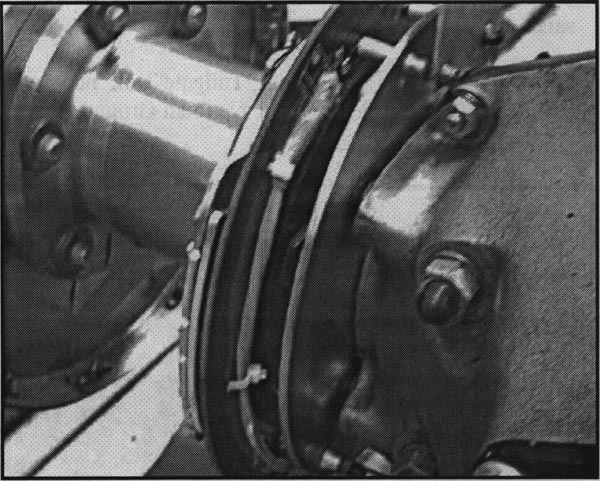 Between 600-800 RPMS, the vacuum advance begins to take effect and advances the ignition to 35 degrees. There is also a circuit that retards the timing to 19-20 degrees when the engine is running between 2000 RPMS and full power. Klaus states this is done to prevent the engine from being damaged by improper leaning at sea level. With two electronic ignitions, when one is switched off, there is a noticeable but minimal drop between them. When both are switched off, the engine stops. My plane flies fine now but I will continue to tweak it for awhile. The vendors I dealt with: Bill Banebridge at B&C Specialty Products, Klaus Savier at Lightspeed Engineering, Rich Chappee at SkyTec, John Moore at Panasonic and a VP at Concorde were extremely helpful. For a successful installation: First, understand Klaus's instructions clearly and follmv them exactly. Second, understand the combination of parts you are using may not be compatible. Third, understand wh at you 're getting into and be preparedfor some work. Finally, be prepared for some labor intensive tweaking. The benefit for me has been; slower idle, slower landing rollout, no mags buried in the mag box, leaner mixtures to get the same results, less fuel burn, hopefully.